Werner was born at Königsberg in East Prussia. At the University of Königsberg, he studied law and attended Kant's lectures. Jean-Jacques Rousseau and Rousseau's German disciples were also influences that shaped his view of life. He lived an irregular life and entered a series of unsuccessful marriages. However his talent was soon recognized, and in 1793 he became chamber secretary in the Prussian service in Warsaw. In 1805 he obtained a government post in Berlin, but two years later he retired from the public service in order to travel. The University of Königsberg was the university of Königsberg in East Prussia. It was founded in 1544 as the world's second Protestant academy by Duke Albert of Prussia, and was commonly known as the Albertina. 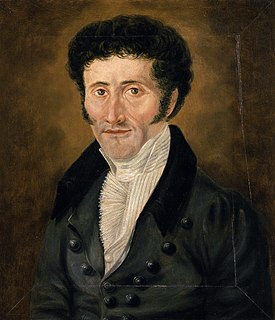 In the course of his travels, and by correspondence, Werner became acquainted with many eminent literary figures of the time, for example Goethe at Weimar and Madame de Staël at Coppet. At Rome, he joined the Roman Catholic Church in 1811. He was consecrated a priest in 1814 at Aschaffenburg, and, exchanging the pen for the pulpit, became a popular preacher in Vienna, where, during a congress in 1814, his eloquent sermons were listened to by crowded congregations. He was later appointed head of the chapter of the cathedral of Kaminiec. Coppet is a municipality in the district of Nyon in the canton of Vaud in Switzerland. 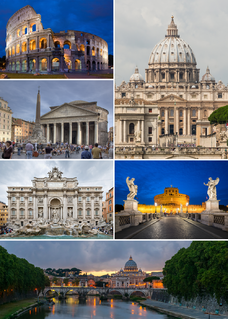 Rome is the capital city and a special comune of Italy. Rome also serves as the capital of the Lazio region. With 2,872,800 residents in 1,285 km2 (496.1 sq mi), it is also the country's most populated comune. It is the fourth-most populous city in the European Union by population within city limits. It is the centre of the Metropolitan City of Rome, which has a population of 4,355,725 residents, thus making it the most populous metropolitan city in Italy. Rome is located in the central-western portion of the Italian Peninsula, within Lazio (Latium), along the shores of the Tiber. The Vatican City is an independent country inside the city boundaries of Rome, the only existing example of a country within a city: for this reason Rome has been often defined as capital of two states. 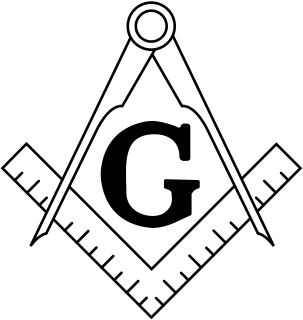 Freemasonry or Masonry consists of fraternal organisations that trace their origins to the local fraternities of stonemasons, which from the end of the fourteenth century regulated the qualifications of stonemasons and their interaction with authorities and clients. The degrees of Freemasonry retain the three grades of medieval craft guilds, those of Apprentice, Journeyman or fellow, and Master Mason. The candidate of these three degrees is progressively taught the meanings of the symbols of Freemasonry, and entrusted with grips, signs and words to signify to other members that he has been so initiated. The initiations are part allegorical morality play and part lecture. The three degrees are offered by Craft Freemasonry. Members of these organisations are known as Freemasons or Masons. There are additional degrees, which vary with locality and jurisdiction, and are usually administered by their own bodies. Zacharias Werner's Theater, a collection (without the author's consent) of Werner's work in 6 volumes, appeared in 1816-1818. Ausgewählte Schriften (Selected writings with a biography by K. J. Schütz) in 15 volumes appeared 1840-1841. August Friedrich Ferdinand von Kotzebue was a German dramatist and writer who also worked as a consul in Russia and Germany. Wilhelm Martin Leberecht de Wette, was a German theologian and biblical scholar. Karl Wilhelm FriedrichSchlegel, usually cited as Friedrich Schlegel, was a German poet, literary critic, philosopher, philologist and Indologist. With his older brother, August Wilhelm Schlegel, he was one of the main figures of the Jena romantics. He was a zealous promoter of the Romantic movement and inspired Samuel Taylor Coleridge, Adam Mickiewicz and Kazimierz Brodziński. The first to notice what became known as Grimm's law, Schlegel was a pioneer in Indo-European studies, comparative linguistics, and morphological typology. As a young man he was an atheist, a radical, and an individualist. In 1808, the same Schlegel converted to Catholicism. Two years later he was a diplomat and journalist in the service of the reactionary Clemens von Metternich, surrounded by monks and pious men of society. 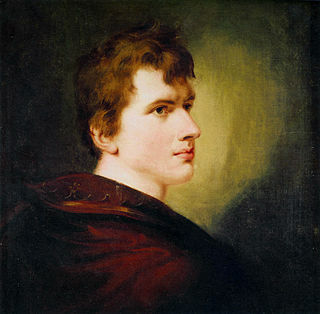 Carl Joachim Friedrich Ludwig von Arnim, better known as Achim von Arnim, was a German poet, novelist, and together with Clemens Brentano and Joseph von Eichendorff, a leading figure of German Romanticism. Ernst Benjamin Salomo Raupach was a German dramatist. Amandus Gottfried Adolf Müllner was a German critic and dramatic poet. The first Wartburg Festival was a convention of about 500 Protestant German students, held on 18 October 1817 at the Wartburg castle near Eisenach in Thuringia. The former refuge of reformator Martin Luther was considered a national symbol and the assembly a protest against reactionary politics and Kleinstaaterei. Heinrich Joseph von Collin (1771–1811), Austrian dramatist, was born in Vienna, on 26 December 1771. He received a legal education and entered the Austrian ministry of finance where he found speedy promotion. In 1805 and in 1809, when Austria was under the heel of Napoleon, Collin was entrusted with important political missions. In 1803 he was, together with other members of his family, ennobled, and in 1809 made Hofrat. He died on 28 July 1811 in Vienna. Ernst August Friedrich Klingemann was a German writer. He is generally agreed to be the author of the 1804 novel Nachtwachen (Nightwatches) under the pseudonym Bonaventura. Friedrich Ludwig Kreysig was a German physician born in Eilenburg. Frederick V Louis William Christian, Landgrave of Hesse-Homburg was from 1751 to his death landgrave of Hesse-Homburg. Veit Hanns Friedrich Schnorr von Carolsfeld was a German portraitist. The number of post-Mendelssohnian Jews who abandoned their ancestral faith is very large. According to Heman in Herzog-Hauck, "Real-Encyc. ", the number of converts during the 19th century exceeded 100,000. Salmon, in his Handbuch der Mission claims 130,000; others claim as many as 250,000. For Russia alone 40,000 are claimed as having been converted from 1836 to 1875 while for England, up to 1875, the estimate is 50,000. Ludwig Ferdinand Schnorr von Carolsfeld was a German Romantic painter, engraver and lithographer. The Collegium Fridericianum was a prestigious gymnasium in Königsberg, Germany. Alumni were known as Friderizianer. Heinrich Friedrich Franz Körte was a German natural and agricultural scientist, and for thirty years Professor of Natural Sciences at the Agricultural Academy in Möglin, which was founded by Albrecht Daniel Thaer. Caroline Philippine von Briest was one of the most prolific women writers of the Romantic period. She wrote novels, short stories, fairy tales, as well as essays, on Greek mythology, on the history of fashion, and travelogues. Considered to be one of the most accomplished women of Germany of her time, her numerous works gained her a high degree of celebrity. Ripley, George; Dana, Charles A., eds. (1879). "Werner, Friedrich Ludwig Zacharias". The American Cyclopædia . Baynes, T.S. ; Smith, W.R., eds. (1888). "Werner, Friedrich Ludwig Zacharias". Encyclopædia Britannica . 24 (9th ed.). New York: Charles Scribner's Sons. Rines, George Edwin, ed. (1920). "Werner, Friedrich Ludwig Zacharias". Encyclopedia Americana . This article incorporates text from a publication now in the public domain : Chisholm, Hugh, ed. (1911). "Werner, Friedrich Ludwig Zacharias". Encyclopædia Britannica (11th ed.). Cambridge University Press.